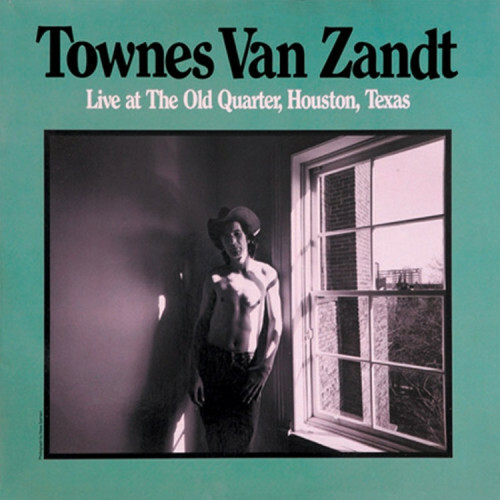 “Townes Van Zandt had released half a dozen studio albums before Live at the Old Quarter appeared in 1977. None of them had sold more than 40,000 copies, but, on the strength of songs such as "Tecumseh Valley,” “To Live Is to Fly” and “For the Sake of the Song,” Van Zandt had already earned a reputation as the greatest songwriter Texas had ever produced. Since his death at fifty-two, in 1997, Van Zandt has become something like the patron saint of alternative country. From Emmylou Harris to Lucinda Williams, from Steve Earle to Ryan Adams, his influence lives in every aspect of that movement. One listen to Live at the Old Quarter reveals why. Drawn from five sweltering-hot nights when Van Zandt performed at a legendary Houston club in July 1973, the album features the singer alone with an acoustic guitar doing twenty-three of his best songs. These versions of “If I Needed You,” “No Place to Fall” and “Tower Song” are as charged with emotion as they are rigorously unsentimental. “Everything is not enough/ And nothing is too much to bear,” he sings; the stoic idealism of those lines sums up all his best work.